Recognize this house? 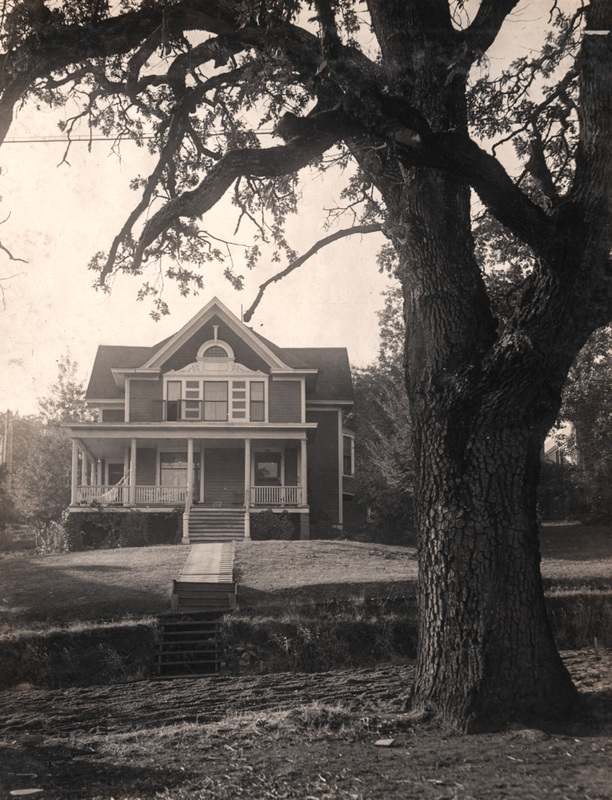 I'm not sure why Benjamin Gifford chose to include this in an album promoting the apple orchards of the Hood River Valley, other than it shows the prosperity of the area. 621 State Street still looks very much like this. It's just west of the county office building (Dean Building). Note the massive fir tree in the modern picture and then note the considerably smaller version mostly hidden by the oak tree in the original picture. Is that a hammock on the deck in the old picture? I've spent many a day in that old house. Don and Cathie Kelter bought it site unseen for $17,000 when they moved here in 1971. The room with the alcove window on the west side of the house never had any access to it... we always surmised that it had to be full of treasures. I think that big tree is creeping forward. Interesting architecture in that the approach steps and the porch steps all lead to a blank wall with the entrance door set to the west. The blue house on Serpentine also has a lovely upstairs room but no way to get there except ofr a ladder. I think that is a hammock and i think we still use the original hardware. I created access to the space that JKG refers to, right off the landing of the attic scuttle. Lots of dust, as for treasure.... For about a year it made a cute little playhouse, then turned into stuffed animal storage. Some history of the home described in HHR photo #598. Thanks L.E., two dupes in one week! I must be slipping. In my defense, I published images on MLK Day and Presidents Day so you're still getting the proper number of new images for the year! Before the street was paved. I am pleased with the fact that the ornate work above the second story windows still remains. Arthur, I don't think anyone is complaining about duplicates. We always learn something new or something old. Especially if we get new first hand reports from Collin. Wasn't this the home of Truman Butler? Butler Bank.